Description: The Mars Exploration Rover Spirit has been operating on Mars for an amazing five years as of today. The robotic geologist has lived twenty times as long as its guarantee, driven up and down mountains, and made discoveries about Mars’ past. And though it’s now limping on a dead wheel and covered with dust, it’s still roving Mars. Bio: Emily Lakdawalla is a planetary geologist and mother of a toddler. She now works for the world’s largest space interest group, The Planetary Society, as its blogger, web writer, and contributor to the weekly Planetary Radio podcast. Hi, I’m Emily Lakdawalla, from The Planetary Society. Five years ago today, I waited nervously in a room with a hundred scientists at the Jet Propulsion Laboratory, for the first signals that would tell us that the Spirit rover had landed successfully on Mars. We jumped up and down when we heard Mission Control say “we have six signs of bouncing on the surface.” Then the signal vanished for sixteen very tense minutes before we again heard loud and clear from Spirit that she had landed safely. That’s when mission control’s celebrations started, but the science team didn’t really start shouting until two hours later, when the Mars Odyssey orbiter relayed Spirit’s first images back to Earth, showing the rock-strewn landscape of the flat floor of Gusev crater. Many of those scientists were geologists, like me. I learned geology by putting on hiking boots and crunching sand and rock beneath them. I carried a rock hammer in my hand and a hand lens in my pocket, and used them to study how different types of rocks formed the land that I traveled. Spirit was designed to go where human geologists couldn’t, to crunch across Mars, surveying rocks from a distance with her humanlike eyesight, and studying them up close with her own magnifying camera and tools that could brush the dust off rocks and scrape into them. Her goal was to hunt for rocks that told of past water on Mars, in a mission lasting three months. At first, though, Spirit’s landing site was a big disappointment. From space, Gusev crater, which is 160 kilometers across, certainly has a huge riverbed entering it, and pretty much everybody agrees it was once filled with water, at least briefly. But everywhere Spirit looked, she saw nothing but a common volcanic rock called basalt, which is found everywhere that there’s rock in the solar system; it’s all over Mars, the Moon, Mercury, and Venus, and makes up all of Earth’s ocean floors. The basalt must have come from lava flows that poured across the crater after the lake dried up, and it covered everything that scientists really wanted to see. After a three-month drive, Spirit finally reached the West Spur of the Columbia hills and immediately hit pay dirt. Almost the first rock she examined was a weird-shaped one called Pot of Gold, that looked like it had been eaten from the inside out. As Spirit climbed the West Spur, her spectrometers showed rock after rock that didn’t look like the plains basalt at all; the chemistry kept changing, and all of it pointed to the action of warm liquid groundwater, rich in dissolved minerals, circulating through solid rock. It wasn’t the lake that geologists had been looking for, but it was signs of long-lasting liquid water within Mars’ rocks. By then, winter was coming to Mars. Spirit is powered by solar panels. Winter meant colder temperatures, but much worse, it meant the Sun was moving to the north, and the panels weren’t producing as much power. But by crawling along north-facing slopes, Spirit’s drivers ingeniously maximized the amount of power that her panels could generate. Throughout her first brutal winter on Mars, Spirit climbed and climbed, first topping the West Spur, and then heading toward the highest point around, the summit of Husband Hill. Although she was much slower than a human geologist on Earth, Spirit was doing exactly what a geologist would do, climbing up a mountain and studying its rocks to learn about the history of the landscape. On the way up, a fortuitous blast of wind swept her solar panels clean of a year’s worth of accumulated dust, doubling the amount of power that the panels could generate. Spirit completely wore out the grinding wheels on her rock scraping tool during the campaign as she bore into rock after rock. The team decided that the Columbia Hills had been partially buried by deposits of broken-up rock and dust by either the massive asteroid impacts that pockmark Mars, or by explosive volcanism. Later, the deposits cemented into rock, and were fractured; warm groundwater seeped up from depth, dissolving minerals here and redepositing them there, making the diverse array of rock types that Spirit encountered. Spirit finally summited Husband Hill at the height of the next martian summer, capturing an amazing 360-degree view of the landscape falling away on all sides, and also getting action movies of dust devils spinning across the plains below. On top of the world, with the wind wiping her solar panels clean, she generated so much power that she actually had to nap in the afternoons to keep from overheating. Then she headed down the opposite side of the hill for the Inner Basin and a curious-looking rock formation that the science team called Home Plate. Shortly after Spirit got to Home Plate, her right front wheel failed. Now, as the rover moved, the wheel dragged uselessly, gouging a deep trench as it went. The team hurried to position the limping rover on a north-facing slope to park her for the low-power days of the coming winter. Spirit didn’t move for more than 200 days, but she survived the winter. She painstakingly analyzed the rocks in front of her. She watched how the weather changed with the season. And she patiently captured the most data-rich color panorama ever returned from the surface of another planet. Even better, the science team discovered that the dead wheel had dragged with it a mound of strange bright soil scraped from just below the surface that turned out to be bizarrely rich in sulfur. It was an amazing stroke of luck – if the wheel hadn’t jammed, the exotic material would never have been discovered. Spirit’s studies of Home Plate, and the discoveries of sulfur- and silica-rich soils, suggested that Home Plate is the eroded remains of a fumarole, a place where groundwater superheated by contact with liquid hot magma blasted out to the surface. The story of Gusev Crater did involve water after all, but it wasn’t peaceful lake water lapping at shallow shores; Spirit’s data painted a different picture of a violent early Mars, with chemical-rich, hot groundwater circulating amid explosive volcanism and brutal asteroid impacts. Since then, Spirit has been hobbled by that dead wheel, but her explorations have continued. The next spring and summer she spent nosing around the edges of Home Plate, discovering silica soils of a type never seen anywhere else in the solar system except water-rich Earth. For her third winter she parked off the northern slope of Home Plate, where she’s been for almost a whole Earth year. As of today, another spring is arriving, and Spirit has survived one thousand, seven hundred and seventy-eight Martian days, nearly twenty times her warrantied lifespan. Spirit is old now, and slow, but as long as she can still rove, and tell Earth what she finds, Earth geologists will explore Mars with her wheels and through her eyes. And during the International Year of Astronomy 2009, by looking at each new sol’s fresh images on countless websites, we can all explore Mars – at least in spirit. I’ve been writing about Spirit for five years for The Planetary Society, the largest space interest group on Earth. For links to images and stories about Spirit’s five years on Mars, visit planetary.org/radio . 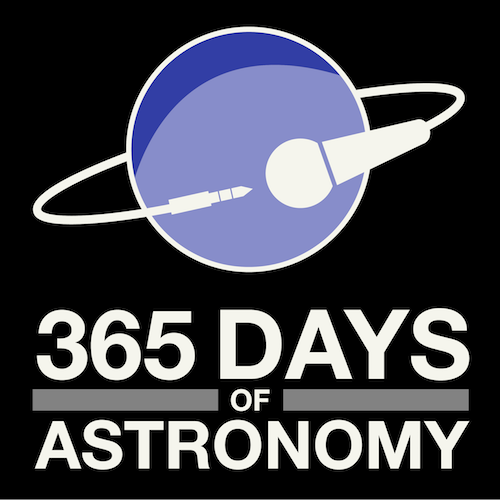 The 365 Days of Astronomy Podcast is produced by the New Media Working Group of the International Year of Astronomy 2009. Audio post-production by Preston Gibson. Bandwidth donated by libsyn.com and wizzard media. Web design by Clockwork Active Media Systems. You may reproduce and distribute this audio for non-commercial purposes. Please consider supporting the podcast with a few dollars (or Euros!). 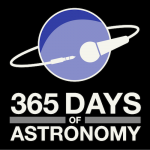 Visit us on the web at 365DaysOfAstronomy.org or email us at info@365DaysOfAstronomy.org. Until tomorrow…goodbye. Emily Lakdawalla is a planetary geologist and mother of a toddler. She now works for the world’s largest space interest group, The Planetary Society, as its blogger, web writer, and contributor to the weekly Planetary Radio podcast. That intro is far to intense for the morning time. Thanks for the excellent summary of this mission! It is really amazing just how complex Mars is turning out to be!